Just about nothing beats a good Beef Tenderloin Filet on the grill. They're great for a special dinner, such as Valentine's Day, a Birthday or Anniversary, and so easy to do. These filets came from Solo Verdi Meats and are 100 % grass-fed beef. It is my opinion grass-fed beef has a far superior taste to that of conventional beef, and I always shop at my local farms for the best beef I can get. 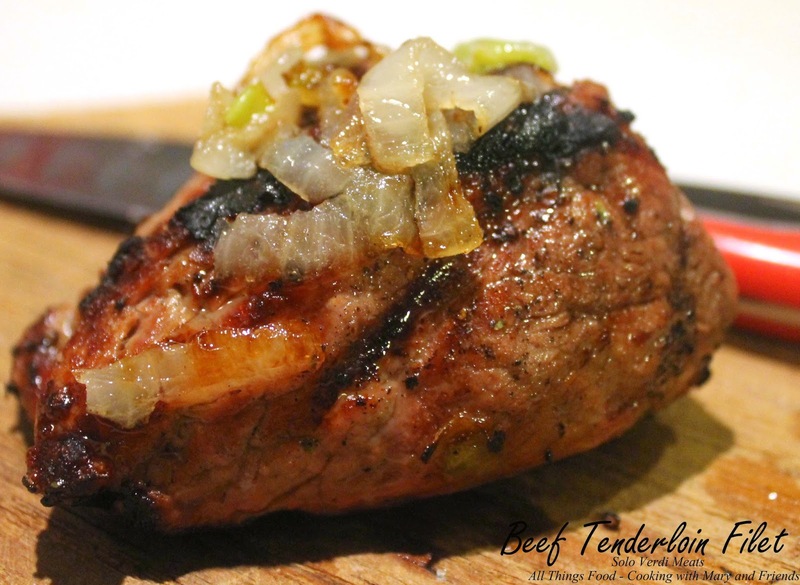 Filet mignon steak is a cut of beef from the tenderloin. The tenderloin runs down the back of a beef cow. A beef tenderloin is large, usually weighing around 4 lbs to 6 lbs, and has two parts. 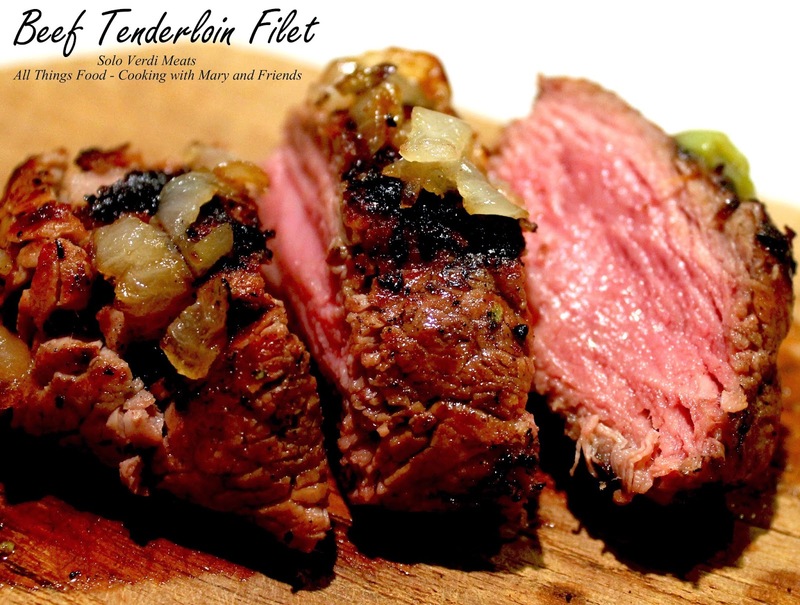 The true filet mignon comes from the small circular strip that is attached to the entire tenderloin. In American butcher shops, a filet mignon steak is cut into about two-inch steaks from the entire tenderloin. But if you see filet mignon medallions on a menu, they are typically cut from the extra tender small round strip. It's this small round strip that the French word "filet mignon" is actually referring to. Beef tenderloin is the name of the large cut of beef before it is sliced into steak. Once it is cut into steaks, those steaks are known by the French name,"filet mignon." Liberally sprinkle both sides of the beef tenderloin filets with salt and course-ground pepper. Sear filets, 1 minute per side, then grill on direct medium-high heat just a few minutes per side until cooked as desired. I like mine medium or medium-rare so these were cooked to an internal temperature of 135. Remove filets from grill and let sit 5 minutes before serving to allow the juices to redistribute.